As summer drags on relentlessly, we find relief in fresh country sounds. 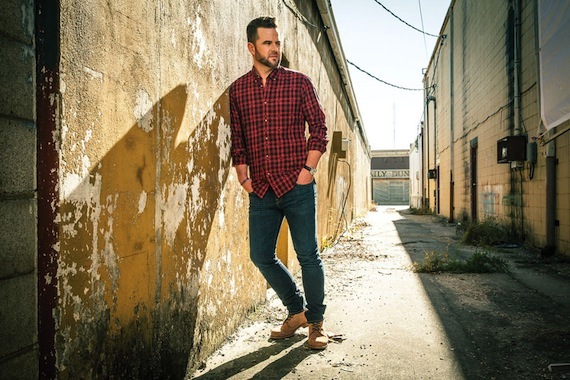 Our vocal collaboration du jour is the awesome new single by David Nail featuring Brothers Osborne. Our most fabulous female is the brilliant Brandy Clark. Our surprise male winner is the wonderfully humorous performance by Billy Ray Cyrus. Give all three a Disc of the Day honor. The DisCovery Award goes to Margo Price. She performed “Four Years of Chances” on The Tonight Show on Aug. 2 and introduced “Hurtin’ (On the Bottle)” and “Since You Put Me Down” on SNL earlier this year. All three are on her new Midwest Farmer’s Daughter vinyl album. Way to go, TV broadcasters. – His clinging to pitch for dear life. Despite his shaky vocal performance, the track pumps mightily behind him and the song is solid. – Thrilling. As you might expect, the voices are on fire with conviction. What is just as great is the fact that the song is a total barn burner, loaded with pounding percussion, churning electric guitars and passionate lyrics. Play it again. – Finding new Waylon music is always a good thing. He and a bunch of other country acts recorded a series of short, military-recruitment radio shows in 1970. These tapes have recently been rediscovered. Former Waylon band member Robby Turner put new instrumentation on the performances to bring them up to date. Most of the tunes on the resulting The Lost Nashville Sessions CD are early Waylon hits such as “Just to Satisfy You,” “Only Daddy That’ll Walk the Line,” “Mental Revenge” and “Brown Eyed Handsome Man.” This tasty country rocker is more obscure, the tale of a man who inherits a lusty gal he can’t keep up with. Delightful. Writers: Brandy Clark/Scott Stepakoff; Producer: Jay Joyce; Publishers: House of Sea Gayle/Highway 508/Clearbox Rights/Nettwerk One-A/Ten Ten, ASCAP; Warner Bros.
– I am on board with the fact that she’s a country songwriting genius. What is frequently overlooked is that she is also a singer of flawless phrasing, liquid tone and silky listenability. This lightly bopping, tinkling, twinkling outing about an ended relationship is audio ecstasy on every level. I am in love with this woman’s music. – Smiley. Sunshiny. Summery. Swaying. – That ain’t her shade of lipstick. She doesn’t drink the red wine that’s on his shirt. That’s not the smell of her perfume. He’s trying to sneak in late, again. You’re in trouble, pal. She’s pissed off and rocking. -This Kansas-bred country boy has a delivery that goes down easily. He has a natural warmth and an instantly likable sound. The rolling groove of this Kevin Welch song fits him like a glove. If there’s such a thing as a baby Strait, this guy is it. – It’s a slow build, starting with a stark little guitar figure and her plaintive, accusatory voice. The rhythm track picks up steam as the rest of the band comes creeping in. But no matter what is going on with the track, it’s her piercing, riveting delivery that commands the spotlight. A very cool little record. – Yikes. The echo chamber only emphasizes her shortcomings. And they are too numerous to list here. – Billy Ray’s upcoming Thin Line collection is loaded with celeb guests — Shelby Lynne, Joe Perry, Shooter Jennings and children Branson Cyrus and Miley Cyrus, for starters. This fantastically catchy, rocking track features Bryan Adams and Glen Hughes singing backup on its wildly clever lyrics. Its video, available on his website, is comprised of hilarious footage from his wacky CMT television sit com Still the King. Heartily recommended.